So, I convinced my sister to bring me home yesterday. I was just getting too antsy not being at home. I am doing a lot better. I still cannot do anything strenuous, bend over too much, or lift anything over 5 pounds, but I was ready to come home. It was so nice to sleep in my own bed. I will not be alone for long. My friend is coming into town this weekend. He will be here Saturday morning. We went to college together a million years ago. My niece calls him Uncle Junkle. Well, OK she called him that once when she was about 1 1/2 or 2 years old. Now WE call him Uncle Junkle. She varies between calling him Uncle Jerry or Uncle Junkle. She loves him because he gives her piggy-back rides and is entirely too silly. Oh to be 4 years old. I weighed myself again and I am down to 265 as of yesterday am. I did not weigh myself today. I cannot get into the habit of weighing myself every day because I just get too crazy about the numbers on the scale. I have to concentrate on other things. I am feeling better and moving around easier. I started to get some of my Christmas decorations out today and got caught up in cleaning my closet. I didn’t lift anything, I just ended up sitting on the floor with a garbage bag in hand cleaning out boxes and throwing things away. I threw out the cardboard boxes, but I’m leaving the bags of trash for Uncle Junkle to take down to the trash room for me since I’m not supposed to lift them. He doesn’t know it yet, but I have many projects for him when he gets here. Hey, we single girls gotta put those guy friends to work, right? I got the Christmas decorations out though and I’ve started wiping them off so that I can put them out for the holiday. Most of them probably won’t make it up until after Thanksgiving, which is good. I generally do not start getting things ready until after T Day, but I figure since I’m home alone with nothing to do, I might as well do something. 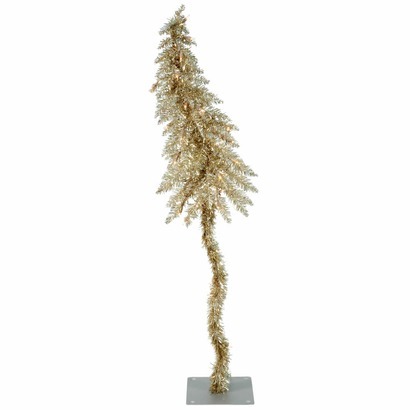 I think this year I’m going to buy a small sparkly tree. I haven’t had a tree or lights in years. I want something festive this year and I think a nice sparkly tree will do the trick quite nicely. What do you think? Yes? This entry was posted in diet, fat, fat chick, health, life, lifestyle, skinny, skinny girl and tagged christmas, fat, fat chick, gastric by-pass, gastric by-pass surgery, home, skinny, skinny girl, thanksgiving, weight, weight loss, weightloss. Bookmark the permalink. I wish I could have a tree. Glad you are home and feeling good. Did you check out the site I sent to you for the green smoothies? I hope you like them as much as I do. Take care. I am always ready for visitors and chai!! And Jerry will be here in am! !